Superhero movies have been the biggest box office draw for years now. It’s gotten so big that movies like Venom, a spinoff of Spider Man that doesn’t even include Spider Man at all, can be a tremendous success. And this isn’t really a bad thing, unless the movies start feeling routing. Well, luckily next year shows no signs of that. Both in terms of superhero films and all around movies, next year looks like it is going to be one of the more experimental years yet. Aside from The Avengers: Endgame, which will deal with the aftermath of a massive genocide of sorts (not exactly common for a superhero film,) there’s also another Spider Man movie (and this is a good thing, considering that Homecoming featured our best Spider Man yet.) And there’s also Captain Marvel, (the first female led, Marvel-superhero film.) But the really creative stuff starts with things like The Irishman. 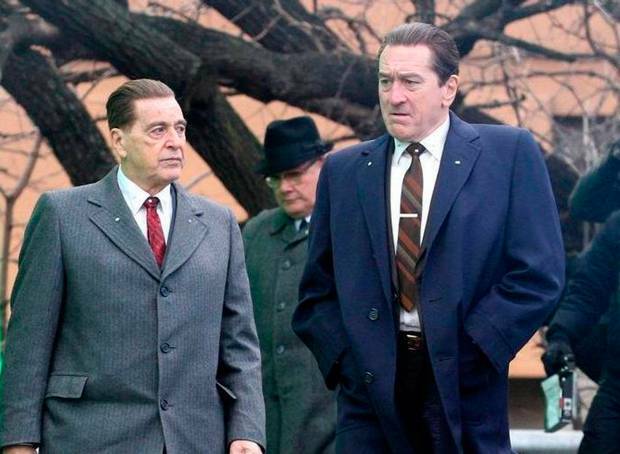 The Irishman is a Netflix movie that stars Robert De Niro, Al Pacino, Joe Pesci, and Harvey Keitel. It’s an old school cast of the heavyweights from Scorcese movies through the ages. And the addition, (the one guy who hasn’t worked with Scorcese before, but is right at home in the gangster genre,) is Pacino. That movie should be pretty incredible. As if it needed any more reason to peak our interest, however, the movie is also going to de-age it’s stars using computer technology to make them look like they are back in their thirties. Talk about something cool. Aside from those, we’ve got things like Hobbs and Shaw coming out, which should finally branch the Fast and the Furious films into a new direction. Enough of the Vin Diesel, it’s all about family, concept. Let’s see what these two actors can pull of when they break away from the team. And in terms of a director, they’ve got David Leitch, a guy who clearly knows action, but just hasn’t found his film yet. Leitch codirected the first John Wick (so that one doesn’t quite count.) But as an individual director has so far made Atomic Blonde and Deadpool 2. Maybe Hobbs and Shaw will be the movie to really show off his talent and skill. 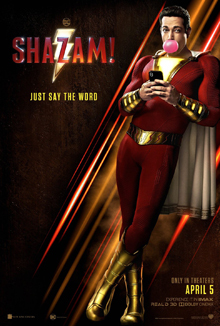 On the topic of action movies, there’s a Hellboy reboot, and some other superhero movies that look like modern takes on Superman, (meaning aliens that look like humans and have superhuman powers.) We’re talking about Captain Marvel and Shazam. Both look pretty good from the trailers. There’s also another X-Men movie with Dark Phoenix, although I wouldn’t hold your breath with that one, considering the massive amounts of reshoots and delays. But Disney has also got their hands in the pot, and I’m not just talking about with Marvel or Star Wars, (yes, at the end of the year we will get the third part to this new Skywalker trilogy, and the ninth film in that saga.) It’s also probably the last before Star Wars gets a makeover at the hands of the show runners of Game of Thrones, who have been tasked with writing a new Star Wars Universe or saga. But with the third movie to feature characters like Ray, Finn, and Po, this one should be pretty good. Especially since it brings back JJ Abrahms as the director, (the same director as the first film in the new series, The Force Awakens.) Abrahms is a mastermind at making sci-fi and action. From Lost to Mission Impossible 3 (perhaps the best in the series,) to the first two rebooted Star Trek films to the Force Awakens, this guy is pretty great. But aside from Marvel and Star Wars, (two properties that Disney bought,) the studio has its own things going on as well. There are live action versions of The Lion King, Aladdin, and Dumbo all coming out next year. Not to mention Toy Story 4. Considering that The Lion King and Aladdin are some of the best animated films Disney has ever put out, that’s some pretty exciting news. And for the Lion King, it’s John Favreau directing, who has already proven himself in this type of movie with The Jungle Book from a few years ago. And Disney also has the long anticipated Frozen 2 coming out that year too. And finally, there’s Tarantino. The man who hasn’t made a bad film yet. The only one. Deathproof wasn’t great, but it also wasn’t bad, and other than that, this writer / director has proven himself to be a mastermind of movies. And in recent years, he has almost remade himself (with historicallyt set films like Inglorious Basterds, Django Unchained, and The Hateful Eight.) Well, he’s at it again, this time taking on the seventies and Charles Manson in the movie Once Upon A Time in Hollywood. It stars Brad Pitt and Leonardo DiCaprio, two A list stars who have worked with Tarantino before. This one should be an absolute winner.